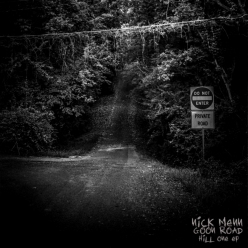 St. Louis emcee Nick Menn's new concept album 'Goon Road' is set to release, and is ready to shed light on the dark story-line that is behind the album; all while providing quality music. 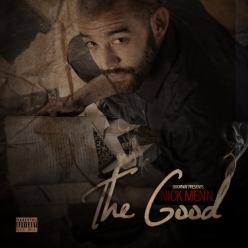 Following up his first release under his government name in 2012 with "The Good"; Nick Menn, formerly known as Whiteout, is dropping a concept album consisting of enough quality material to be split into three EPs over a three month time span. Nice print article from the Riverfront Times saying Doorway should be famous now! Check out the music video for "Line Em Up" w/ Rockwell Knuckles and Tef Poe, produced by Bentley Hendrixx, video shot by Alex White. Hip-hop artist Nick Menn, also known as Nick Menn, just dropped visuals for his dope remix of Kendrick Lamar's "m.A.A.d City" on WorldStar. The video for Nick's rendition, named "Fast Kid, Slow City", shows a glimpse inside his day from 2:20pm to midnight. Reason to watch: There's no shortage of toy guns, marijuana, or facial hair. Watch below and I recommend you find Nick on Facebook for some daily laughs.